I never take the bus in Paris but my metro line was blocked last night so I had to take the bus home. I panicked a bit because I NEVER take the bus anywhere so I called my friend Anne (who is my neighbour and colleague as well) to ask how I would get home. 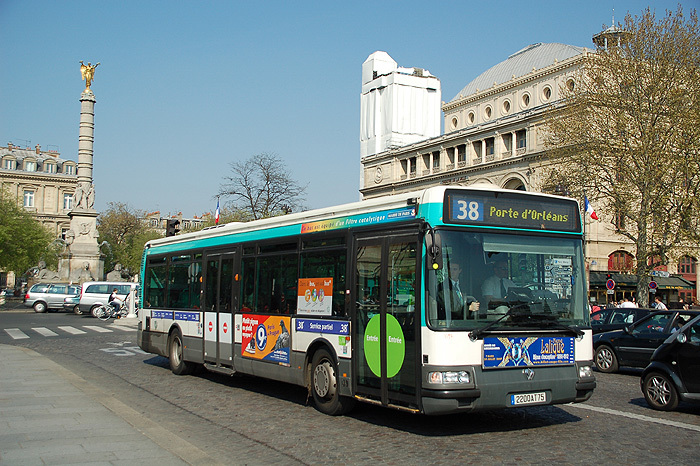 No shame in that at all, I mean after living in Paris for more than two years… I know it’s stupid not knowing how to get around with the bus in Paris because there are so many things to see and a perfect way of getting to know the city. This is also a good way of getting to know people from Paris by heart because you will (most likely) witness a fight on the bus like I did last night. It’s just something about the roads in Paris that drives people crazy, the go off on anything and they will not stop until they have the last word. What you shall do is stay put, pay attention to the fight, don’t interrupt and start talking to yourself and express how crazy you think these people are. Yes, that is how people handle things here.